Europe’s biggest street carnival will be taking place from the 27-28 August 2017, the Notting Hill Carnival. It is a date that millions of people will have in their diary for all kinds of purposes. 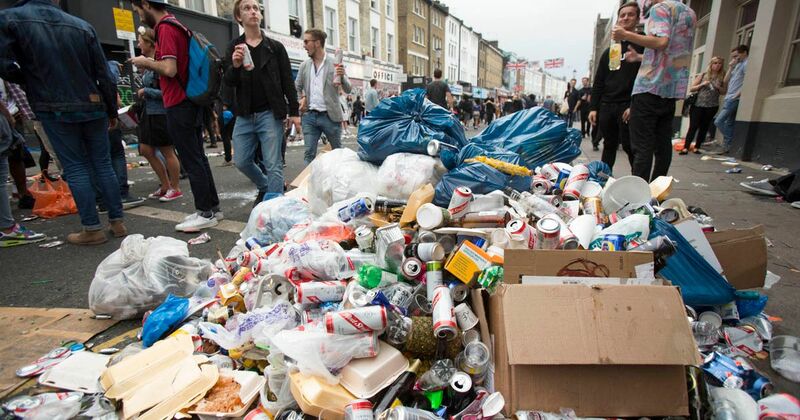 From partying hard, parading through the streets of Notting Hill, Ladbroke Grove and Westbourne Park, to enjoying time with family and friends, the huge event results in tonnes of waste being left behind, spanning the nearly 6 km long route. However, the Notting Hill Carnival clean-up is always exciting due to the sheer scale of the event in the confines of such a small area. The waste from the celebrations will inevitably spill onto surrounding gardens and, with this in mind, households along the carnival route are offered a free, post event, cleaning service to remove any rubbish that has been left in their gardens or outside their basement. If you are planning on joining in the celebrations, please make use of the designated recycling points along the route, and don’t forget the gum board. By sticking your gum to the designated boards you will save thousands of pounds in street deep cleaning and contribute further to the mass recycling carried out after the Notting Hill Carnival clean up. Do you require event waste management in London? If you are involved in planning an event in London, perhaps not on the scale of Notting Hill Carnival, and require a cleaning service after the event, be sure to use Westminster City Council’s event cleansing service. Our experience in dealing with event waste and clean-up service is unparalleled. We clean up after some of London’s largest events. Our large fleet of trucks, staff and equipment provides for some of the fastest cleanup times in the event waste management sector. No matter what size event you might plan we can tailor a thorough and cost effective clean-up plan for you. For a reliable, cost effective and environmentally friendly service for your event please do get in touch with us using one of the buttons below.